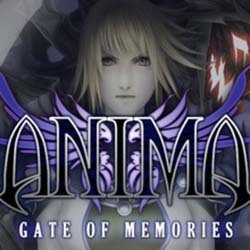 Anima: Gate of Memories is an action RPG set in the Anima Beyond Fantasy world, featuring a deep compelling story and exciting gameplay. This is the theme I composed for the main menu and ending credits. The video game was released in June 2016. Anima Beyond Fantasy is a license recognized for its role-playing books, miniature war game and card game. Its products have been translated into English, Spanish, French, Italian and German, and are available in more than 20 countries worldwide. Music and lyrics by Marc Celma. Mastering – Pablo Peiró at Sountess Studio (Valencia, Spain).